Maputo — The Mozambican government is maintaining its ban on the import of meat from South Africa because of an outbreak of foot-and-mouth disease in Limpopo province. Cited in Wednesday's issue of the independent newssheet "Mediafax", the head of the department for the prevention and control of diseases in the Ministry of Agriculture, Anabela dos Muchangos, said "since the outbreak was detected in South Africa (on 7 January) we have been monitoring the situation with our South African counterparts, and so far we note that they have not managed to overcome the problem". "So the ban is continuing on the import of beef, pork and goat meat from South Africa", she added. The only products from South African hoofed mammals that can enter Mozambique are those that have been treated in such a way as to completely eliminate the foot-and-mouth virus, such as pasteurised dairy produce and heat-treated processed meats. 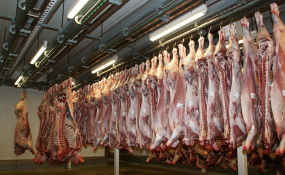 Looking on the bright side, Muchangos said the South African outbreak should be seen as "a great opportunity to stimulate sales of Mozambican meat". She regretted that Mozambican consumers seem to prefer imported produce to the Mozambican equivalent, but admitted that imports from South Africa are often somewhat cheaper than Mozambican meat. Muchangos said the authorities are stepping up vigilance to the border, ensuring that no South African animals or meat enters Mozambique. Foot-and-mouth is a highly contagious disease that can devastate livestock herds.